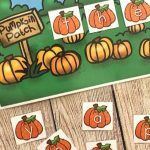 This Halloween Beginning Sounds Activity is the perfect way to work on identifying beginning sounds. 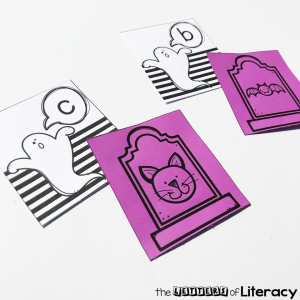 Each ghost needs help finding the correct grave, but the only clue they can give you is the beginning sound. 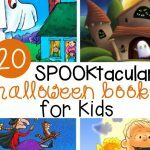 Can your little readers help all 26 ghosts? 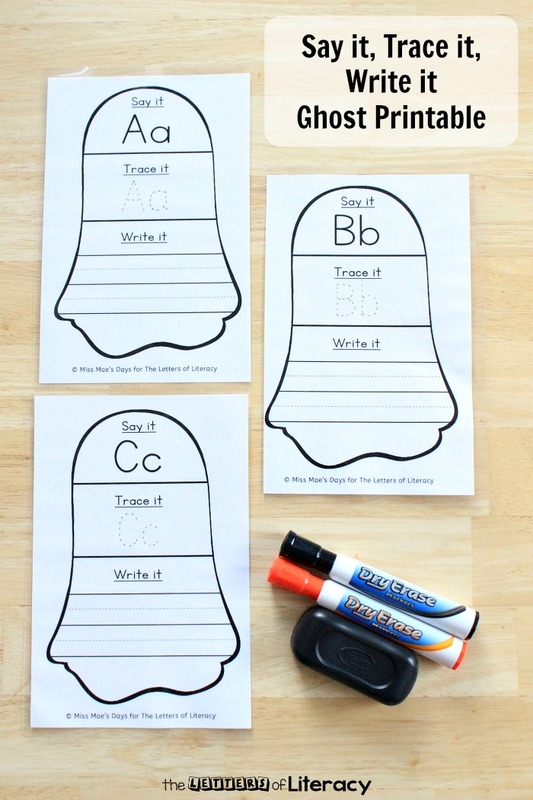 *Pair this with our Halloween Centers and Activities for Pre-K and Kindergarten! 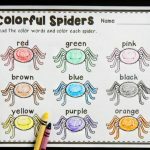 No color printer at your school? No problem. This printable comes in ink-saving black and white. 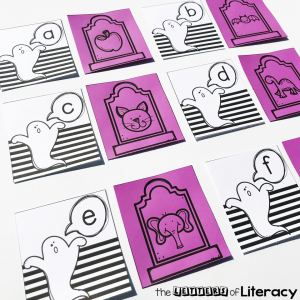 But if you would like a pop of color you can print your cards on colored card stock. After you print your cards, simply cut them apart. I used a paper slicer to cut mine even faster. Then I will show them an example. I will choose a ghost card. In my best ghost voice, I will repeat the sound on the card. 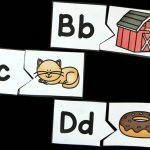 I will model saying the words on the graves and checking for the beginning sound as I look for the correct match. 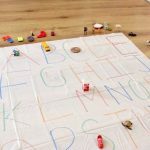 This activity works well for small groups to play on a large flat surface. I chose a nice open area on the floor. This game can also be played like Memory. You can place all of the cards upside down and take turns flipping over two cards to try to find the match. If a player finds a match, they get another turn. The player with the most matches at the end of the game is the winner. 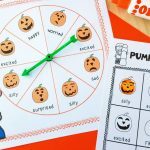 Are you ready to grab your FREE Halloween Beginning Sounds Activity? Then click on the large, blue button at the end of this post! 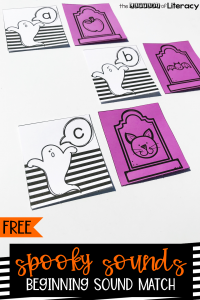 Then, hop on over to see our FREE Tracing Letters Ghosts Printable Mats! Rachael has a bachelor’s degree in Early Childhood Education and taught first grade for 6 years before becoming a stay-at-home mom. 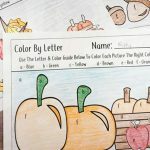 She is a wife, and mother to a kindergartener and toddler twins. 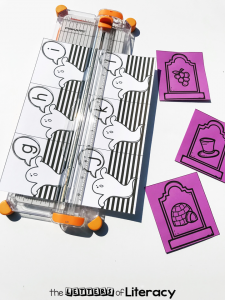 She has a passion for creating fun and engaging resources for little ones. 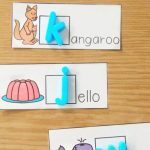 Rachael shares tons of resources and some of her favorite children’s books over on her blog, Literacy with the Littles, Instagram, and Pinterest.